Shoes are a problem. The moment I realize I've finally found a truly good pair of shoes--not just practical and good-looking, but really comfortable--is usually the moment I see they are also starting to wear out. No matter how much I loved them, no matter how much I'm willing to pay, I will never find the same pair to replace them. * Like it or not, I'm going to have to go out and find something new, something different. So I will keep the metaphor under control, and tell you what I know. Because there are things you can do to make it easier, I promise. 1. 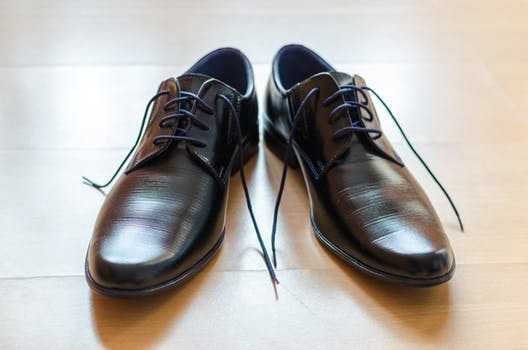 Start Over--Good shoes, simple as they may be, can be hard to part with. Good relationships are a hundred times more so. But whether the last pastor was your best friend or just someone you put up with, you aren't ready for the new relationship until you deal with the old one. Mourn, celebrate--the important thing is to separate the old relationship from the new one. It's a common mistake to treat a pastoral relationship like a marriage, and feel you can't like one without being disloyal to the other, or that you need to rank them. But your new pastor needs to be met as her own person, and not as a comparison to someone else. 3. Smile--There's an art to introducing yourself, but don't sweat it, because you learned this in grade school. Be friendly, but not overwhelming. Be helpful, but only if you want to help*** Most of all, be real. There is nothing so comforting as people who like you enough to be themselves with you. Make a joke, as questions. Pastors are real people (contrary to the rumors), and they come to you as social refugees, strangers in the land. But you don't have to befriend them for charity's sake, because they are almost universally interesting, caring people, and fun to boot. I promise. 4. Invest--Change is hard, and change takes time, but it's also an opportunity. A new pastor is a great time to think about other changes for your church. What's your vision? What's your hope? Your new pastor will have some experience or skills that the last one didn't. They can help your church stretch in new directions. Of course, you shouldn't drop big decisions in her lap right at the start. And it's important to know the difference between having a dream, and lobbying like a special interest group in Congress. But this is a good time to invest in your church. Come to church. Engage in the conversation. Share your ideas, and look for others' that you can help with. Take advantage of the opportunity. You'll find the best fit you can, of course. And then you'll give it time to adjust, and to feel comfortable. And finally, I most certainly hope, you'll start going places together. *Okay, there are exceptions. You might wear out shoes exceptionally fast, or you might be my dad, and buy 2 of the same pair if they fit well. **All right, I should apologize for the corniness. But I was provoked. ***If you don't really want to do anything, offer to do anything. But if you'd like to be helpful, make sure to offer something specific, like food, or to haul away boxes to the recycling center. We joined a church once that had a reputation as an end-of-your-career post for pastors. The "good old church member" network that ran the place used to run off several pastors a year. David Koresh was a former member. We'd lost most of a generation of kids who left as soon as they could tie their own shoes. We turned it around by gathering all the parents and grandparents who wanted to save their kids together and standing behind our pastor (who had his faults for sure, but he was our pastor). Fortunately, we had an ally in our conference president. The good old boys went on strike and boycotted services. During the boycott, we replaced the entire church board and leadership and got a new pastor - a tough old evangelist at the end of his career and approaching retirement. After that we had wonderful pastors and we loved them all and when the good old boys returned (those that did return), they were closed out from church leadership and welcomed with open arms and a critical eye. That church is a joy to attend to this day. And it was all about standing with your pastor against those who think churches are dandy little personal fiefdoms where they can rule the roost. Militant love for your pastor will win you a better class of pastor or at least help your pastor become a higher quality pastor. I highly recommend this sort of church insurrection, not against the pastor, but in resistance to those who would be kings. Ironic stance for me given my surname.